We’ve all been there, a night of top quality live music, good company, few beers ending in food based delights in the early hours of the morning, jamming till the sun comes up. But imagine if it didn’t stop, imagine 48 hours of back to back live music, a 24 hour booze licence and sticky ribs on tap? Well that’s exactly what’s going on down at the Camden Blues Kitchen as they finish up their 48 hour world record attempt! 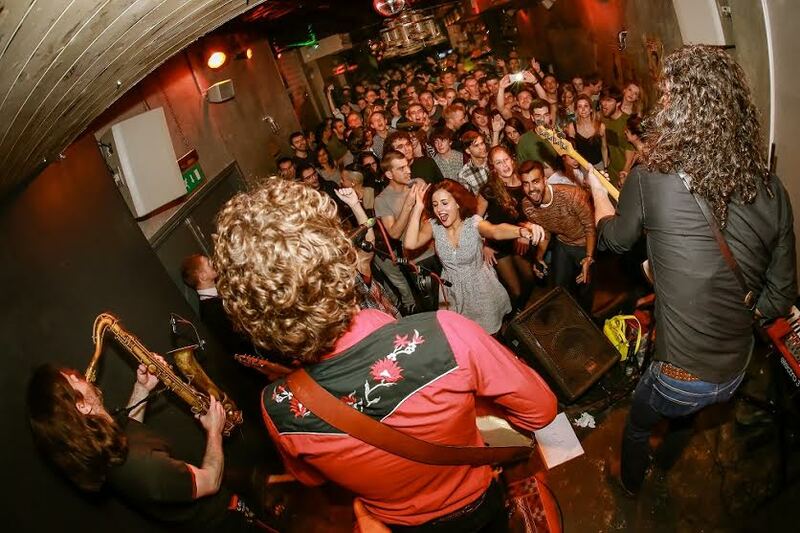 To celebrate five years since The Blues Kitchen first threw open its doors to the music loving public of Camden, the venue tuned up for the world’s longest continuous jam session. Kicking off at 12pm on Sunday 21st September and finishing at 2pm today – the cherished live music hotspot set the bars high to serve up at least 48 hours of unbroken BBQ smeared Blues for a coveted place in the annals of rock history. With over 100 amateur, professional and special guest musicians from around the UK to performing over the two day period every splash, riff and lick of the world record attempt was also broadcast live through The Blues Kitchen’s Facebook page, meaning that thousands of fans worldwide were able to enjoy the jam from the comfort of their own home – sounds nifty right? Well the party’s not over just yet. 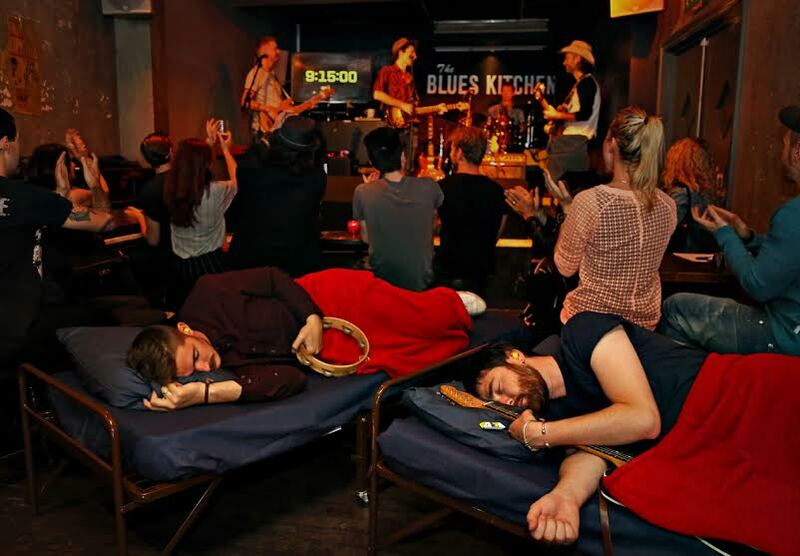 Every weekend the Blues Kitchen services the blues fans and good time seekers of Camden and afar with their indulgent programme of live music and good vibes. I have found myself leather jacket and shoe boot clad dancing along at many a birthday party and personally recommend the frozen Pineapple Margaritas – they’re well fit. So if you fancy something a bit different this weekend why not head down to Camden Blues kitchen and soak up the atmosphere.